The academies’ first action step, the naming of advisory group, will occur “in the coming weeks,” William Kearney, director of media relations for the NAS and NAM, told GEN. No dates have been set for the naming of the international committee, or the convening of the summit, or the publication of recommendations. The advisory group would work with NAS and NAM leaders to consider nominations for the committee, but names may be solicited from several sources. Should such an ethical breach occur, the resulting public outcry “could hinder a promising area of therapeutic development,” the group added. Not surprisingly, Lanphier and co-authors cited Sangamo’s modification of T cells via its zinc-finger nuclease editing technology for infusion into patients with HIV, beta-thalassemia, and Alzheimer's disease. While decrying germline editing or reproductive cells, Lanphier and colleagues also presented a single circumstance under which they could debate its use: “Should a truly compelling case ever arise for the therapeutic benefit of germ line modification, we encourage an open discussion around the appropriate course of action.” Asked to what extent the academies’ initiative could serve as such a forum, Lanphier told GEN he would not comment directly until he had an opportunity to better understand the effort. “With that said, we believe that there needs to be an inclusive discussion involving multiple parties / constituencies in order to insure a robust debate and legitimacy from the conclusions/ consensus from the meeting,” Lanphier added. Lanphier’s call for a moratorium, for now, was echoed Tuesday by President Barack Obama’s administration: “The Administration believes that altering the human germline for clinical purposes is a line that should not be crossed at this time,” John P. Holdren, assistant to the president for science and technology, and director of the White House Office of Science and Technology Policy, wrote in a post on The White House’s blog. A week after publication of the Lanphier-led commentary, a group of 18 researchers that included many gene-editing pioneers published their own commentary on germline alteration. “The potential safety and efficacy issues arising from the use of this technology must be thoroughly investigated and understood before any attempts at human engineering are sanctioned, if ever, for clinical testing,” stated the group, whose corresponding author is Jennifer A. Doudna, Ph.D., of the University of California, Berkeley. Dr. Doudna and colleagues carried out the research on which CRISPR/Cas9 editing is based. Among her co-authors for the commentary included George Church, Ph.D., of Harvard University, who with Dr. Doudna are among co-founders of Editas Medicine, launched in 2013 to translate their research into a new class of therapeutics. Another co-author was Nobel laureate David Baltimore, Ph.D., president emeritus of the California Institute of Technology and co-discoverer of the enzyme reverse transcriptase. The NAS and NAM acknowledge they are responding to Dr. Doudna and co-authors, but only in part. “We’ve heard from many of them, but our leadership has also been consulting with many of the leading experts in the scientific and medical communities who have expressed concerns, or who are looking to the academies to provide leadership on this issue,” Kearney said. “Strongly” discouraging any attempts at germline genome modification for clinical application in humans. 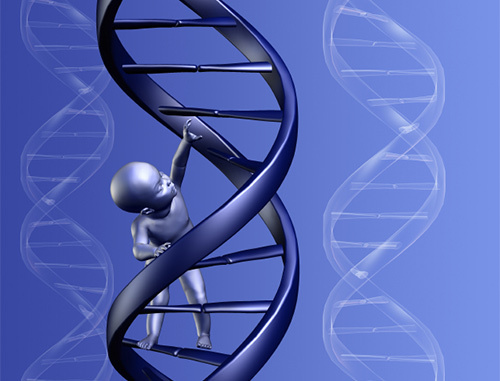 Creating forums for scientific and bioethics experts to present the risks and rewards of germline gene editing. The recommendations followed a meeting of stakeholders convened in January in Napa, CA—some 40 years after the Asilomar Conference on Recombinant DNA produced voluntary guidelines that have undergirded the field ever since. To produce genuine consensus, a conference would have to look beyond stakeholders, said Marcy Darnovsky, Ph.D., executive director of the Center for Genetics and Society, which is seeking to ban germline genome editing. “We need many Asilomar-type meetings, and I think we really have to think about who should be there,” Dr. Darnovsky told GEN. “Scientists and a few ethicists, professional ethicists, that really doesn’t cut it. I think it has to be a really broad swath of both scholars and non-scholars—people from public interest organizations of different kinds, and labor unions, and community groups, and church groups. “I think it’s a large project, and it’s a large effort, and it has to be that, because the stakes of this decision are very high,” Dr. Darnovsky added. A reminder of how high emerged on April 18, when Junjiu Huang, Ph.D., and colleagues at China’s Sun Yat-sen University published results in in the journal Protein & Cell from their use of CRISPR/Cas9 on human embryos. The results were underwhelming. In many cases, CRISPR/Cas9 failed to make the desired change—the replacement of the HBB gene, mutations of which have been implicated in the disease β-thalassemia. CRISPR/Cas9 also appeared to introduce various unintended “off-target” mutations, most likely a fraction of the actual number since only a part of the genome was studied, Dr. Huang acknowledged. Dr. Huang and colleagues reported that out of 86 human embryos that were subjected to genetic manipulation, 71 survived. Of the surviving embryos, 54 were genetically tested. Just 28 were successfully spliced. An even smaller number contained the desired genetic material. Off-target effects were seen. Under what circumstances should researchers consider a prohibition on germline gene editing in humans? Dr. Huang did not answer a GEN email query asking that question. By telling Nature he plans to work on reducing the number of off-target mutations through adult human cells or animal models, Dr. Huang appears unlikely to pause his research any time soon, no matter the calls from researchers to slow down or stop. More than likely, other investigators will be pressing ahead as well. That adds urgency to the academies’ effort to develop guidelines for the practice aimed at ensuring safety and preventing unethical. Those guidelines should be a first step toward global standards of research more likely to gain compliance beyond the U.S. and the West. Even more urgent is the need for any guidelines to be adopted by institutions conducting research, and especially the conferences and journals that disseminate its results.